Just over a crystal bridge lies the Garden of your dreams. A place of purest Love and Light—the Home your soul knows very well. 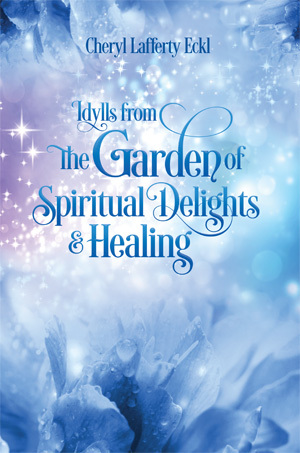 Here in a timeless realm, you are invited to meet spirit guides who understand the deepest of your heart’s desires. To join in fairy festivals, commune with elemental life, and learn the unspoken healing language of the Unknown. Mystical poetess and storyteller Cheryl Lafferty Eckl welcomes you to slip in to where Mystery dwells. The Garden awaits. Won’t you step in?